Hi there. I'm George Vlad and I work in game audio. I'm incredibly passionate about what I do, to the extent that work and spare time blend and amalgamate with each other on a regular basis. One example is the enjoyment that I derive from spending time in the great outdoors, hiking, trekking or simply laying on the grass and listening to the subtle sounds around me. This provides excellent opportunities to record sounds that I require in my day-to-day work. A logical progression from recording countless gigabytes' worth of audio is putting together libraries that can be shared with fellow sound professionals. This year alone I've been on more than 20 recording trips just covering the dawn chorus, which yielded about 70 GB worth of recordings. I have also recorded extensive footsteps and Foley, paper sounds, small cogs and gears and many others that can very well be organized into libraries. 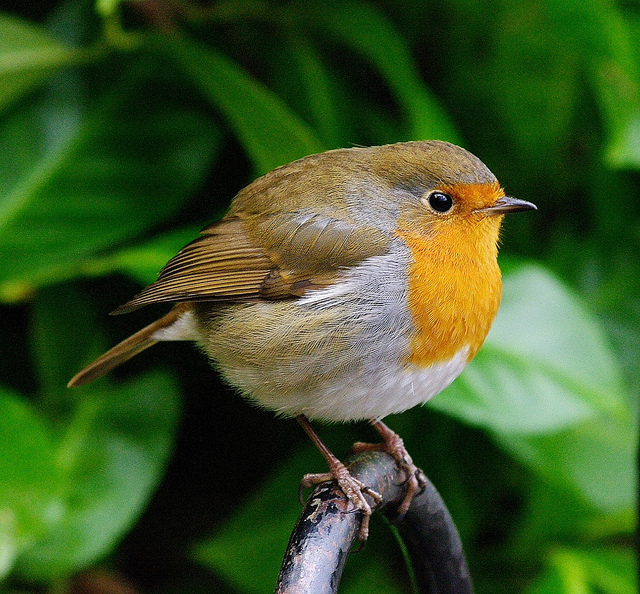 European robin, used with kind permission from Briton Parker. The actual planning took more time than the execution, mainly due to my fixation with having everything done perfectly (not that different from what is discussed in this Designing Sound article). I spent countless hours trying to create a concept and to translate it into words. I also had the pleasure of collaborating with talented artists when working on the company logo and library covers, but I still felt like I wasn't making any progress. However, once the graphics were done and I was recording dawn choruses twice or even three times a week, a sort of momentum started to build up. I'm certain that reading Paul Virostek's books and blog posts helped speed things up, as have countless discussions with friends and fellow sound professionals. At any rate, here we are. Mindful Audio is live, and the first library is due to be published in a few days. I'll follow up in a week's time with the detailed story of how the Woodland Atmosphere library came to be. Here's to a hundred more libraries.